I was seven years old when I first discovered roleplaying games. My brother came back from The Stamp Shop in Middlesbrough with a blue book he'd picked off their shelves, and my mum and I agreed to play. 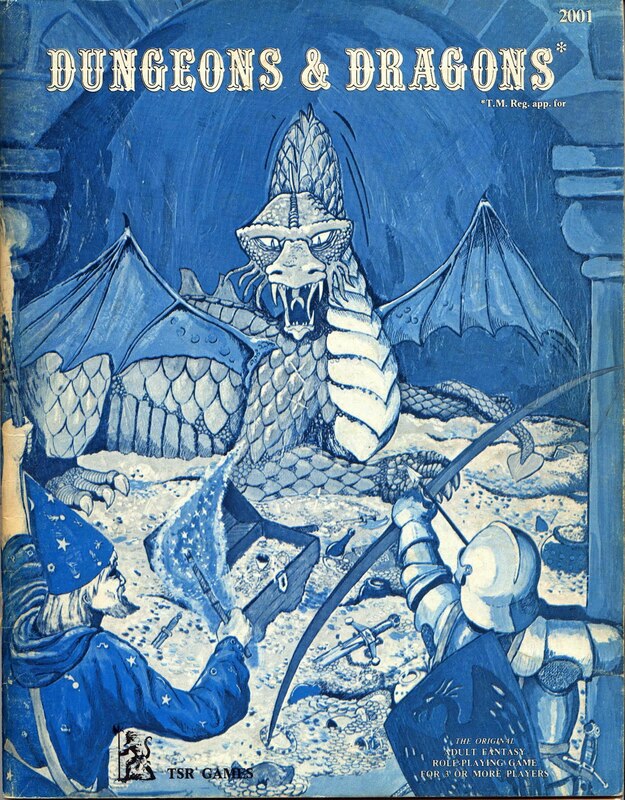 The blue book was Dungeons & Dragons, the adventure was in the back of the book, and when the main light bulb blew and we had to play the rest of the game by lamplight, the giant spider that emerged from the darkness sealed the deal. I was hooked. By that age, I was already writing stories. The stories of a seven-year-old scribbler, sure, but stories. And being given a typewriter when I turned eight was the greatest gift I could have. Since then, I've written plenty of stories - and I've played all kinds of games, but the first time the two worlds crossed over was in the story I published in the Tales From The Tavern anthology from Inklings Press. You see, one of the characters there was a character from one of the campaigns I ran. Rasten was a regular NPC in an old Runequest campaign I ran for more than a decade with friends from university. He was the stoic, reliable back-up, never taking the centre stage, always there to help the players in their time of need. And over the years, I always wanted to know his story, yet in the context of roleplaying games, his story was always the least important of all. The best roleplaying games are centred around the players. They are the heroes, it should be their story. Which is one of the reasons why great roleplaying campaigns rarely make for great novels. It's seldom that a great book has so many competing central characters vying for attention, all together at the same time as they work through the action. Roleplaying encourages all members of the party to share the action, an ensemble piece. Each player gets the opportunity to tell the story of their character. A novel? Well, each character whose point of view you explore is elevated towards being a main character - and how many stories are you telling? Around the gaming table, each of the players is the master of their character's destiny - on the page, each character's destiny is in the writer's hands. The game may have a plot that involves everyone, but each player is most directly involved with their own character's outcome, their plot within the branching campaign around them. Each player retains that singular focus, the kind of focus a reader gains while working through a novel and connecting to the lead character. If you ask a reader to connect to the whole group, it's going to be hard to give them enough time with each one to satisfy - and even trickier to give each character an arc, a destination, somewhere to go within the story. And so the best stories, I find, that grow out of games are those that are inspired by them and not a slavish recreation. There are great stories out there without a doubt that sprang from gaming. Steven Erickson's Malazan series draws on his old RPG campaign, while Raymond E Feist's Riftwar cycle and George R R Martin and associates' work on Wild Cards both reflected roleplaying connections - but they are retooled to work in a different medium, for a different audience, taking the core of what worked, the moments that inspired, and incorporating them into a more cohesive whole. There are other hazards too - those stories you created with dice and paper were collective stories. One of my favourite campaigns was an old Superworld campaign. I keep thinking about turning some of those adventures into a series of short stories - but don't feel right about doing so without the permission of some of the players at the time, though some I've lost touch with. For example, one of the key characters was a young genius run by one particular player, who on reflection turned out to be a great cypher for an introduction to the superpowered world of the game, set in England at a time of rife international paranoia and spying, where the greatest heroes of the land might just be vying against the government at the same time, and where experiments in top secret laboratories tinkered with ways to stop the gifted and ensure the status quo. Should that young genius remain in the world turned into story? A substitute with a similar purpose just doesn't feel right - and more than that, it was the group that made those stories, so I don't feel any right to claim them. So, back to Rasten. The man in the background. In all the adventures he featured in, I felt an earthy, solid connection to him, I knew what governed him, I knew how he would react. Plucking him out of the RQ world he was born in - a very, very necessary thing to do, by the way, writers, don't try and use other people's worlds as your own - didn't change my feeling of who he was. And so he was propelled into not just A Taste For Battle but as one of the characters in a fantasy novel tinkering around in my brain, The Darkening of Rich Harvest. That one will be a while. But it will come. Rasten will get to tell his story at last. Stephen Hunt writes under the pen name Leo McBride. You can follow him on Twitter here.